Retama Park received approval from the Texas Racing Commission on Wednesday, August 6, for the track's requested 32 nights of live Thoroughbred racing for the 2009 season. Live Thoroughbred racing in 2009 begins on August 28 and finishes November 7. 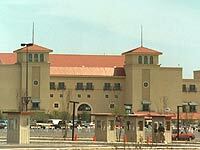 Retama Park and Sam Houston Race Park, along with Texas Quarter Horse owners and trainers, agreed to move Retama Park's traditional spring and summer Quarter Horse dates to Houston for 2009. The agreement is for one season and provides horsemen the opportunity to remain in one location while reducing shipping and relocation costs. “The agreement is good for horsemen, good for the racing industry, and is for one season. After 2009, we will examine results and consider resuming live Quarter Horse racing at Retama Park in 2010”, said CEO Bryan Brown.